The Best Substrate for Burrowing Tarantula! Probably one of the most stressful situations for any first time tarantula owner is the sudden disappearance of their exotic little pet. Where did it go? Did you leave the lid open? What are you supposed to do to locate a rogue tarantula? Before you pull out the flashlight and start checking all the little nooks and crannies of your home, you might want to check back in your containment. Yes, your tarantula has just burrowed in its habitat. Burrowing is common behavior for most species of tarantula, which they do as they hunt for their prey. 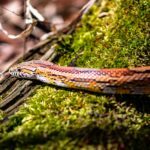 So now that you’re aware of your pet’s burrowing behavior, it’s probably time that you knew that the substrate you choose for its habitat will also play a role in this natural tendency. So being equipped with the best substrate for burrowing tarantula species is a vital part of responsible pet ownership. Click Here To Check For Prices On High-Quality, Budget Friendly Substrate For Your Burrowing Tarantula! Sphagnum peat moss (Click here to check for product prices and availability) isn’t solely used for exotic pet enclosures. This versatile material is also commonly used in gardening and for habitats for aquatic pets. In the arena of tarantula pet care however, it makes an ideal substrate to line the bottom of your containment. This material is light, loosely packed, and affordable, making it the ideal substrate for both your burrowing tarantula and yourself. 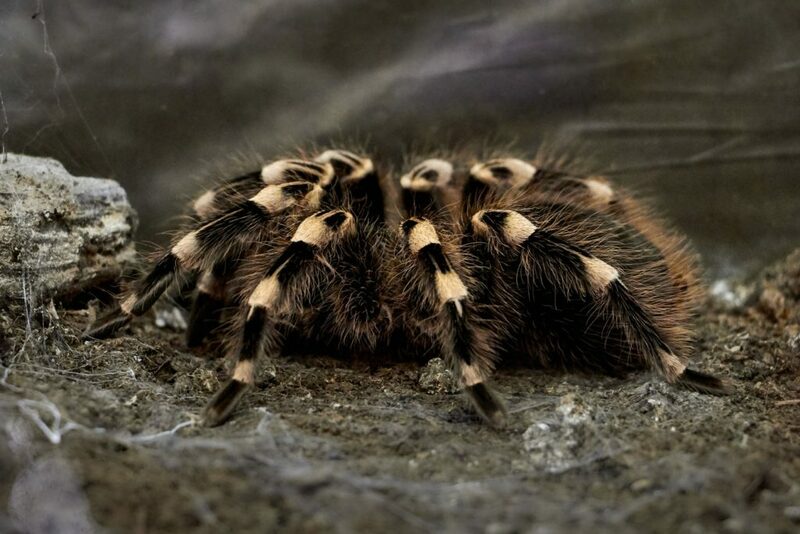 All tarantula species respond quite sensitively to substrates that contain harsh chemicals. Of course, that’s because these creatures aren’t acclimated to synthetic chemicals in their natural environment. That’s why it’s important to make sure you’re reading the packaging on the products you purchase for your tarantula’s home. Any decor, bedding, or whatever other items you use for their habitat should be all-natural and free from artificial ingredients, chemicals, colorants, and other synthetic materials. You’ll be happy to know that Sphagnum Peat Moss Substrate is one of the materials that promises a chemical-free environment for your pet. Made from organic peat moss, the material is as close to nature as it gets, allowing you to create a safe, habitable space for your tarantula to grow and develop. Aside from being natural and safe for your pet, peat moss also creates a really authentic containment aesthetic. 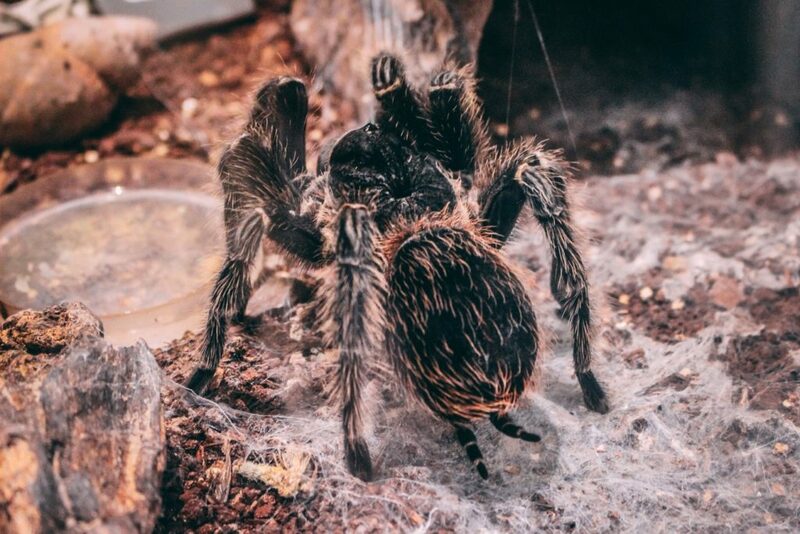 Making your terrarium look like it was cut out of a forest scene, peat moss can help make your tarantula truly feel comfortable in its habitat. Again, what you want when you own a tarantula is a substrate that’s deep enough and light enough to burrow in. Other materials tend to be dense, falling around your tarantula and making it hard to dig and hide under the substrate. That’s why a pet owner who wants to encourage this natural behavior should seek to use lighter material. According to care sheets for tarantulas, these creatures burrow best when they have a thick enough substrate to work with. So adding a thin layer of bedding might not be enough to give your tarantula the depth it needs in order to create a suitable nest. 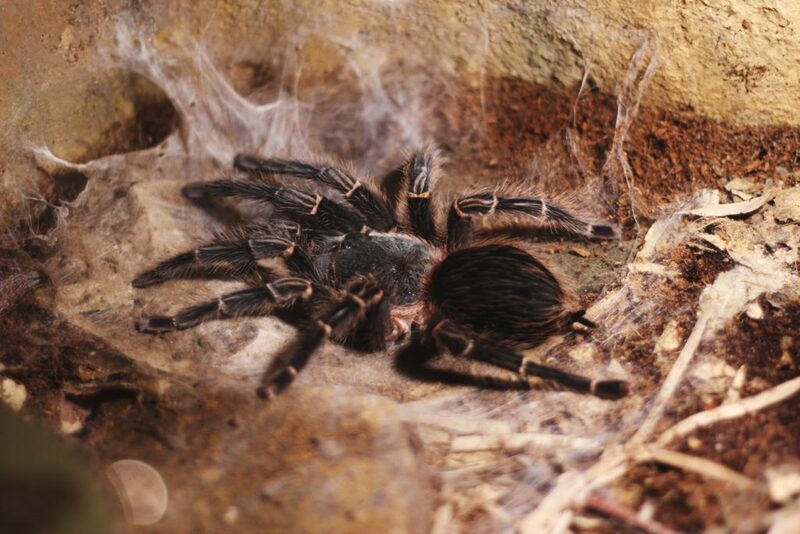 For that reason, more expensive substrates tend to put some tarantula owners off. Requiring enough material to create depth in a wide space, expensive options can become even heavier on the wallet if you consider the depth of the substrate. That’s why peat moss makes a good choice. This lightweight, affordable material is easy on the pocket, allowing you to create the ideal tarantula habitat without having to spend too much. The budget-friendly material rings well with most buyers since it offers incredible depth with such a small cost. On top of that, peat moss also offers the ideal texture for burrowing. Not too dense and not too heavy, the material can hold well especially when your pet weaves its silk to hold the walls of his burrow in place. This way, it can achieve the kind of burrow it would create if it were in its natural habitat. Click Here To Read Independent Third Party Reviews Of This Product! Click Here To Check For Prices On This Product! While you might love caring for your tarantula, having to clean out your containment too often can start to feel like a chore. 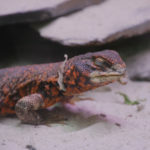 That’s why you need to make sure you’re choosing the ideal substrate to prevent the need for having to clean too often. Sphagnum moss does produce quite a little dust, but moistening the material slightly can help keep the dust at bay. Doing this increases the humidity levels in your containment to the ideal measures, helping optimize conditions to keep your tarantula healthy. The peat moss does tend to absorb moisture, allowing it to take in any waste material that your pet might leave behind. Plus, the material’s texture also makes it easier to spot any areas that need cleaning, making it possible for you to perform spot treatment on the space instead of having to replace everything in one go. This way, you can enjoy minimal maintenance over a period of time, only replacing the entire substrate every several months. Tarantulas need to be able to behave as they do in nature in order to thrive and survive in your care. 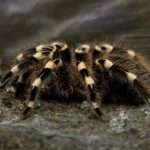 That’s why as a pet owner, you need to make sure you exercise every opportunity to make sure your tarantula is getting the right care – even down to their containment. If you were looking for the best substrate for burrowing tarantula species, be sure to check out Sphagnum Peat Moss Substrate. Affordable, safe, and possessing the ideal texture, this simple and budget-friendly substrate solution should help you achieve the idea habitat for your eight-legged friend. The Best Snake Substrate for Humidity! The Best Substrate For A Baby Sulcata Tortoise! 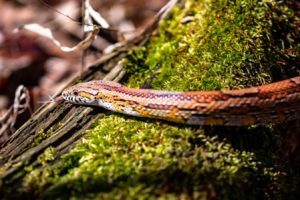 The Best Substrate for Corn Snakes! A Guide on Finding the Best Substrate for Tarantulas! 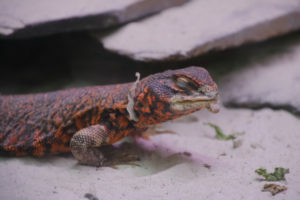 The Best Substrate for An Uromastyx Tank! 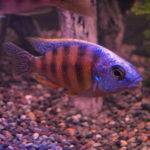 The Best Substrate for Mbuna Cichlids! 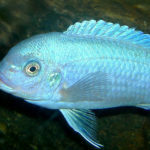 The Best Substrate for Malawi Cichlids! Copyright © All rights reserved. All advice on this site is for information purposes only!